Turning forty was a huge milestone for this food and travel writer. Months leading up to my birthday, I felt an urge to my celebrate life in a big way. It was time to go to a place I had long dreamt of visiting, Spain. The food, the chefs, the churches, the architecture, the art, and the people have long resonated with my soul. The stars all aligned for my big “Trip of a Lifetime” #maidastripofalifetime. I was to travel solo for 28 days from Madrid to San Sebastian, to Bilbao, to Barcelona, to Seville, to Granada and back to Madrid taking planes, buses, and trains. Boarding the plane to Madrid, via Amsterdam, excitement flowed through every fiber of my being. It was a fitting reminder to me why I travel. At 22, I promised I would go where my writing would take me, almost like a marriage vow to travel. I felt this same adrenaline rush many times such as the night before my trip to Bhutan too excited to sleep and so keen to experience my first dive in El Nido I slept in my bikini. 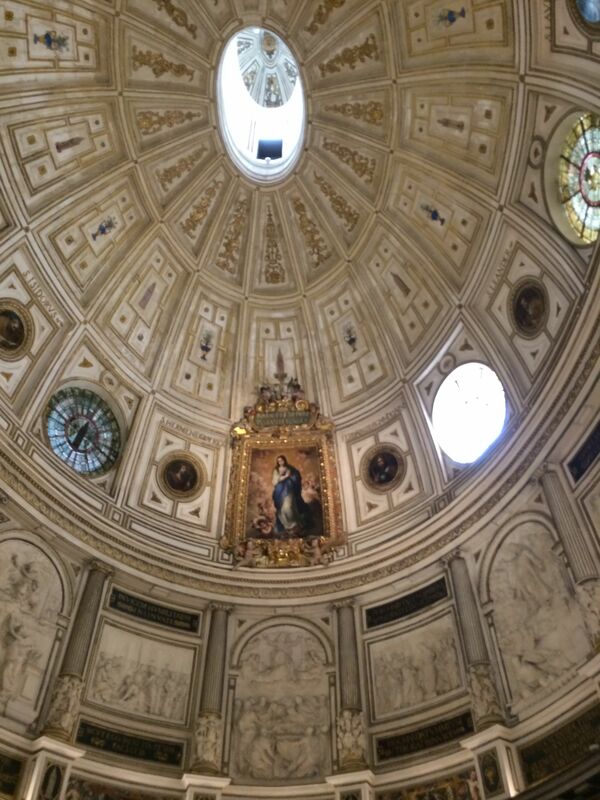 Spain did not disappoint this single woman traveling solo. I arrived in Madrid pulling my suitcase in Gran Via, searching for my hotel. Immediately, a waiter approached me, asking what I was looking for. He pointed me to my hotel, even smoothly inserting a compliment on how beautiful I am and suggesting I eat breakfast in their café the next day. 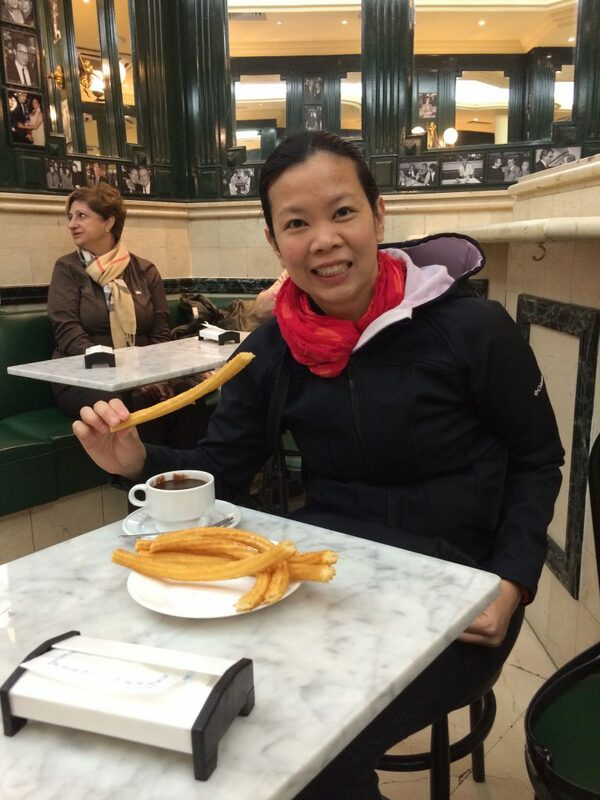 While Madrid’s tapas, Jamon, and Churros were enough to wow me, it was San Sebastian’s food scene that blew me away. 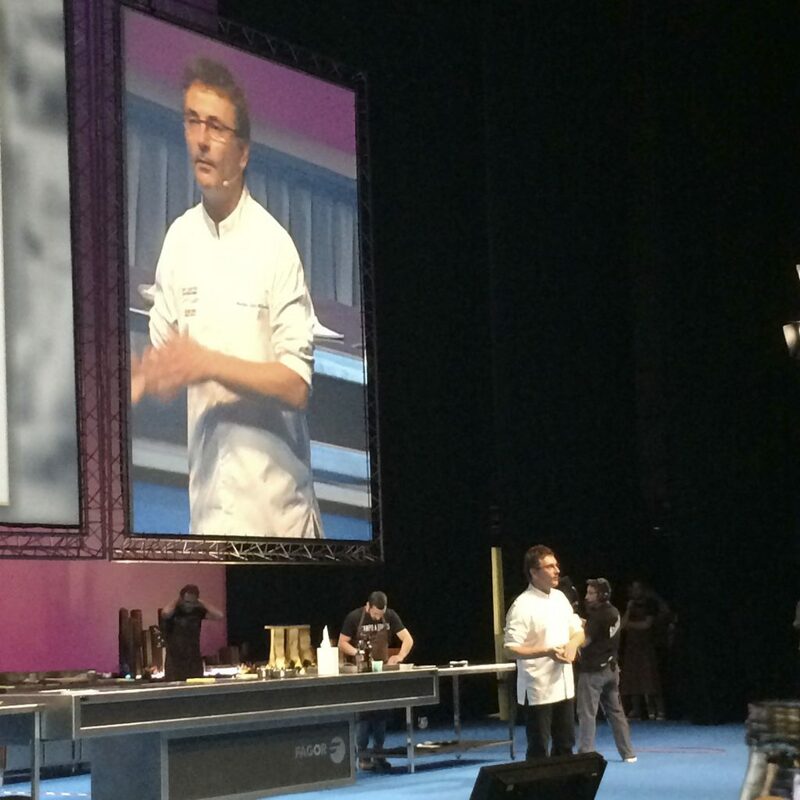 I had a date with the best chefs of Spain at Gastronomika, an annual gastronomic congress. 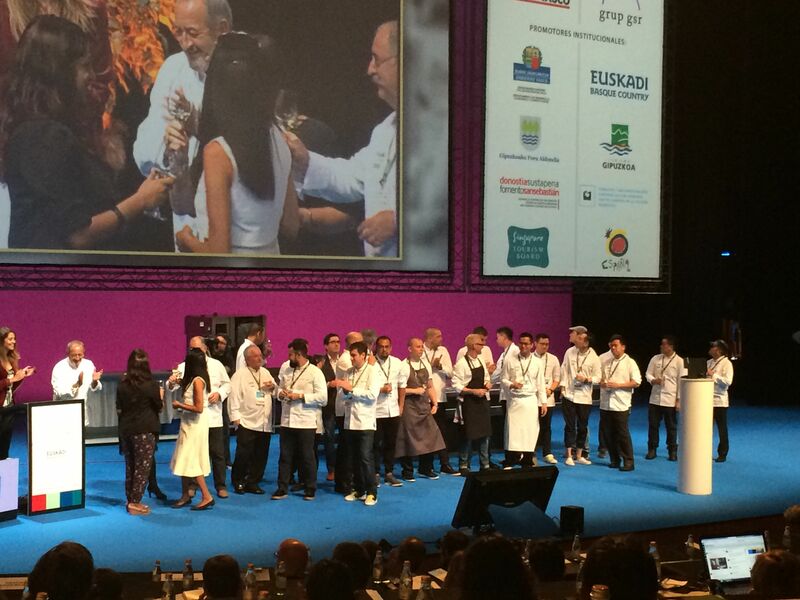 There I met with Spain’s best chefs: Joan Roca, Elena Arzak, Juan Mari Arzak, Andoni Luis Aduriz, Albert Adria, and even visiting international chefs like Vladimir Mukhin, David Pynt, Andre Chiang, Jowett Yu and many more. There was no time to be jetlagged, or star-struck by these Michelin starred chefs. Like a sponge, I learned from them and tried to soak up their brilliance. In my many years of experience interviewing the world’s best chefs, I saw a common thread they shared. At one point in their lives, they all trained in Spain. 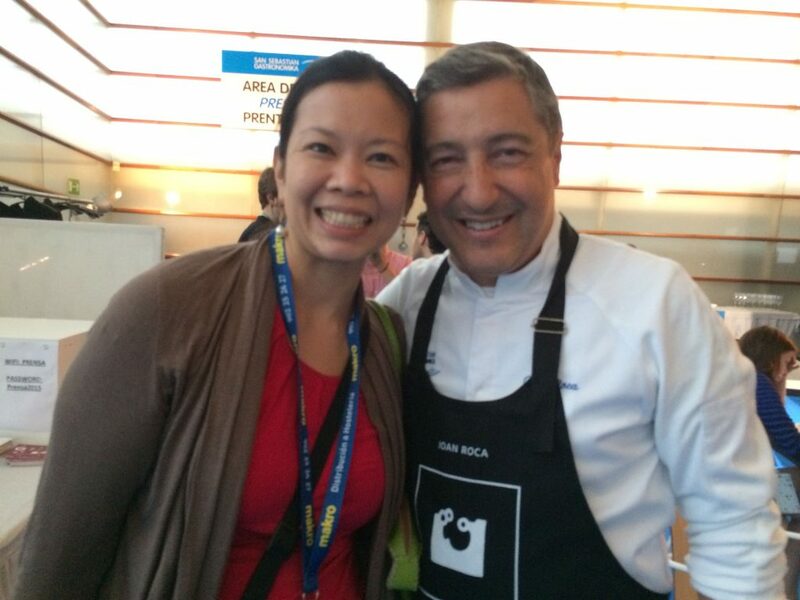 Hence, I wanted to learn from the best chefs in Spain. Meeting Andoni Luis Aduriz several months before my trip, I told him about this desire. 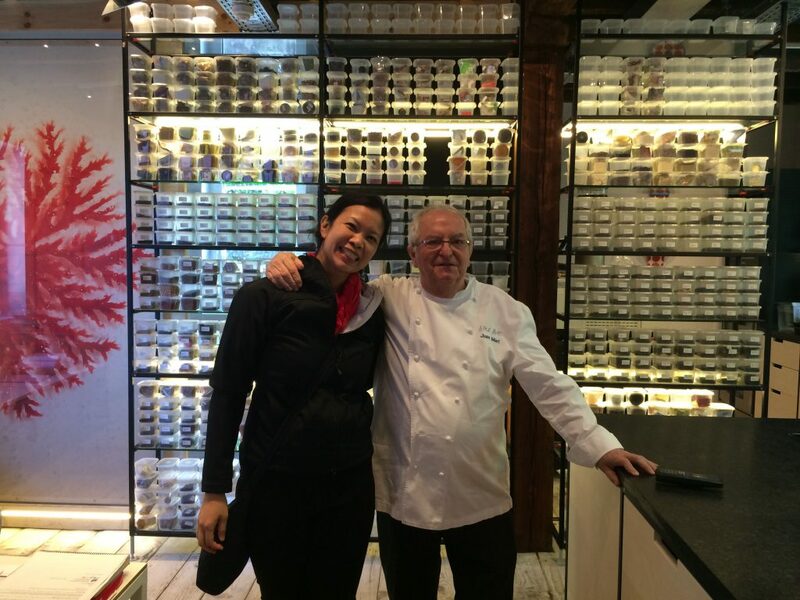 He kindly allowed me to spend as long as I wanted in his kitchen at Mugaritz. Pinch me. Is this really happening? Who gets this opportunity of a lifetime? I did. 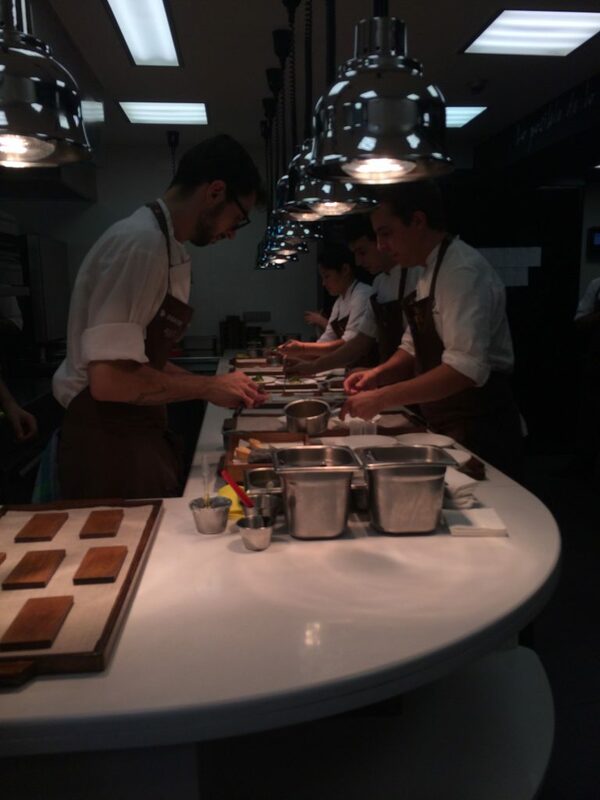 As I stood in awe in his kitchen watching the chefs at Mugaritz work, I was mesmerized. Their movements were like a carefully choreographed dance, graceful and intentional. There was none of the chaotic frenzy or cursing of most other kitchens. Then, elevating my immersion even further, I sampled all 25-courses of this 2 Michelin-starred restaurant, currently ranked 7th in the World’s 50 Best. With every dish, my senses were stimulated with texture, flavor, and even presentation. Dream Come True…. 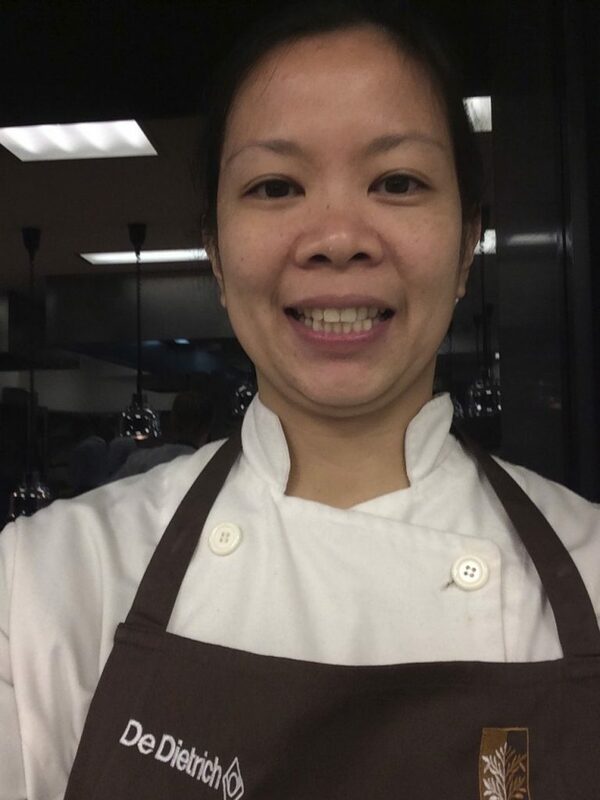 dressed in chef whites at Mugaritz! 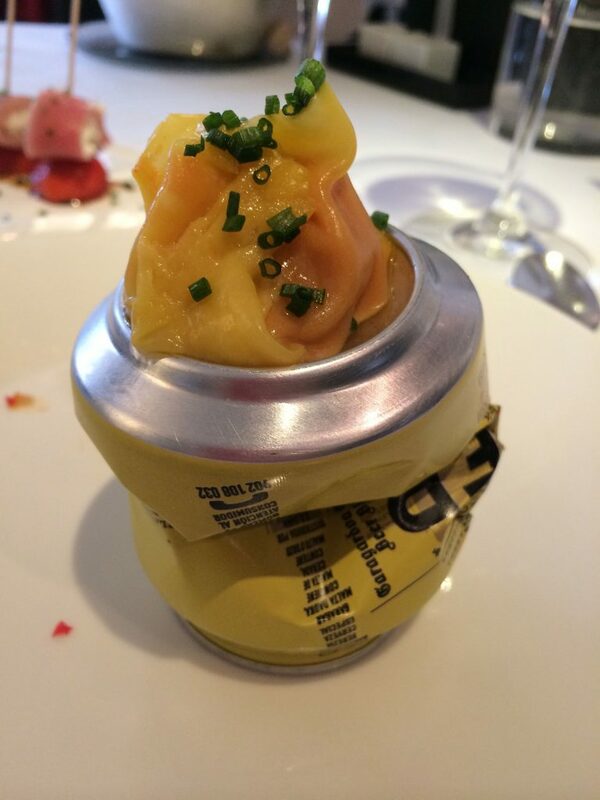 Dining in Mugaritz is a meal like no other, challenging your senses, even your expectations! 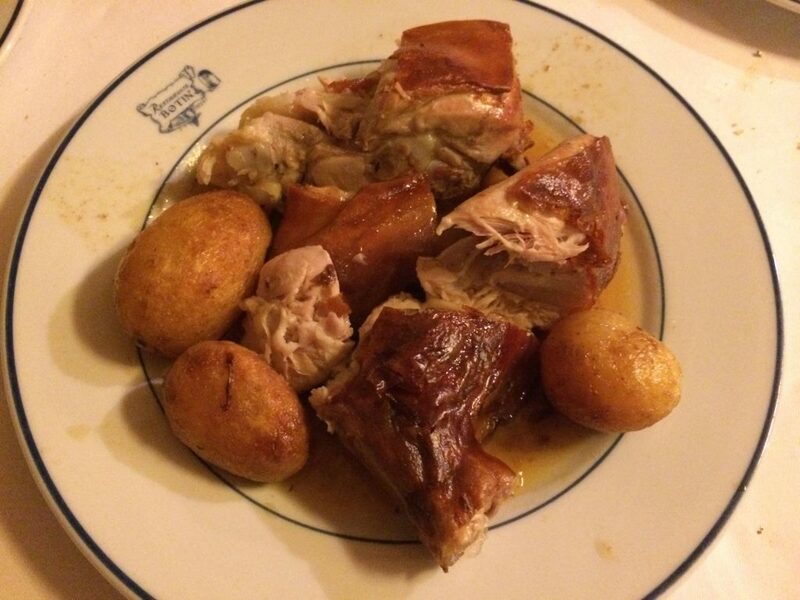 Another must-try when in San Sebastian is Arzak. 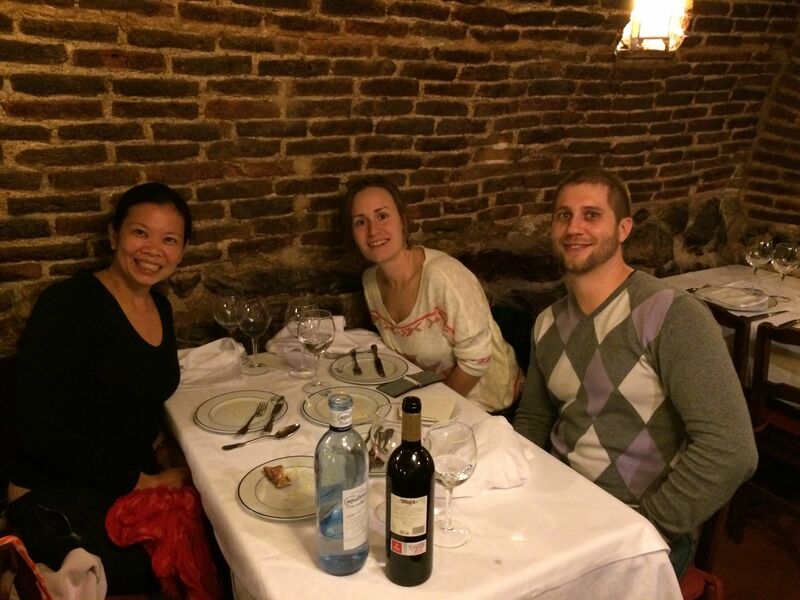 Meeting Elena Arzak a few months before my trip, she invited me to her family’s restaurant. While Elena was taking care of her mother then in the hospital, her father Juan Mari was my most caring host. Instantly, it was as if I had found a long-lost uncle in him. He hugged, teased, asked why I am still single, then in minutes offered a fitting match for me. Naturally, it was a Basque chef, no less! 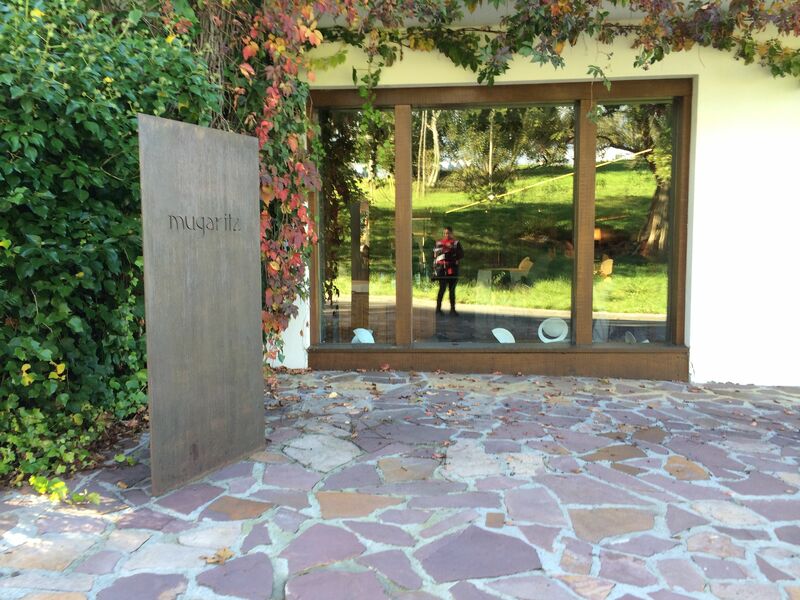 San Sebastian’s Food Legend, Juan Mari Arzak…. it was a treat to enter his lab! 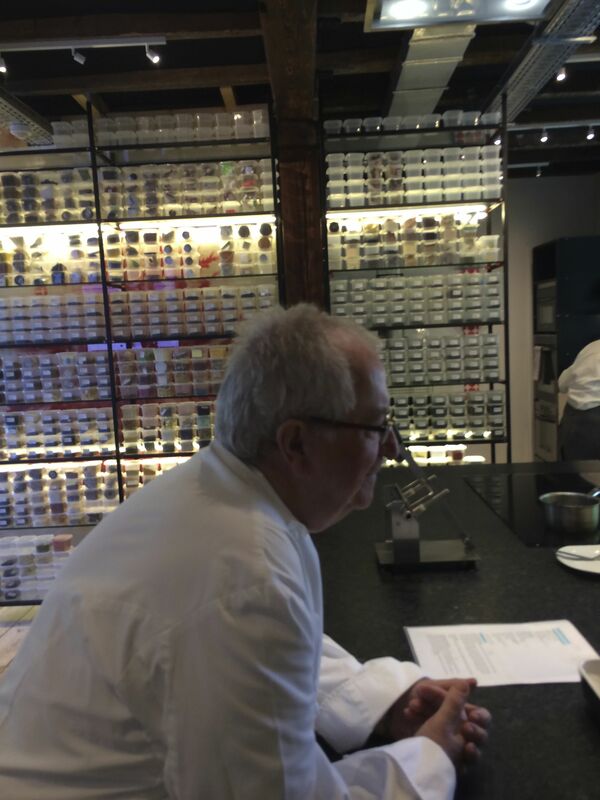 Meeting for the first time, but Juan Mari Arzak bestowed the warmth of a long-lost uncle! While it may seem impossible to match the dining experience at these two restaurants, San Sebastian’s Pintxos bars impressed me even further. My two-chef friends gave me a list of their favorite Pintxos bars. One-by-one I got lost in the old town sampling San Sebastian’s tapas. I was dining alone, but not at all lonely. When I oohed at the best gambas I’ve had in my life, I met a Japanese couple sharing the same sentiment. Tucking into the most decadent cheesecake I’ve ever had, I met a German lady and an Argentinean lady also on their own for their evening. 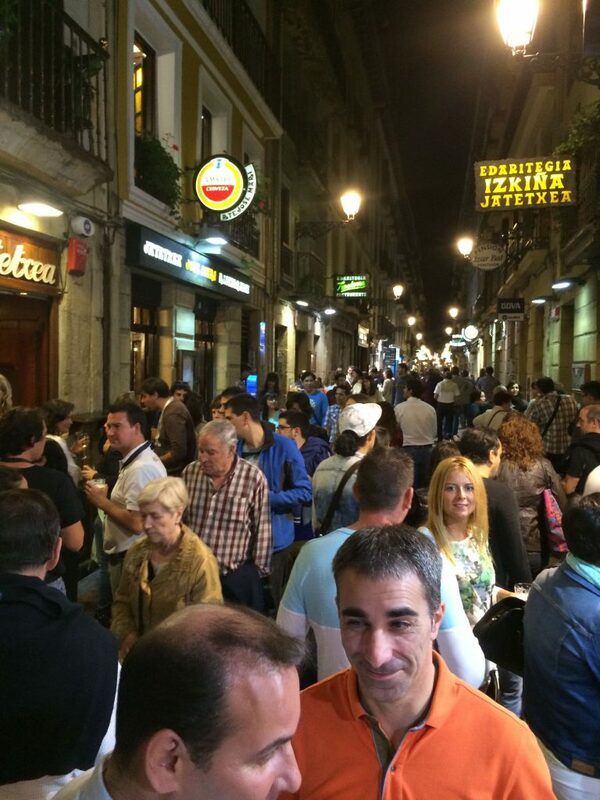 Every night feels like a party in the streets of Old Town, San Sebastian, plate after plate of the best Pintxos! 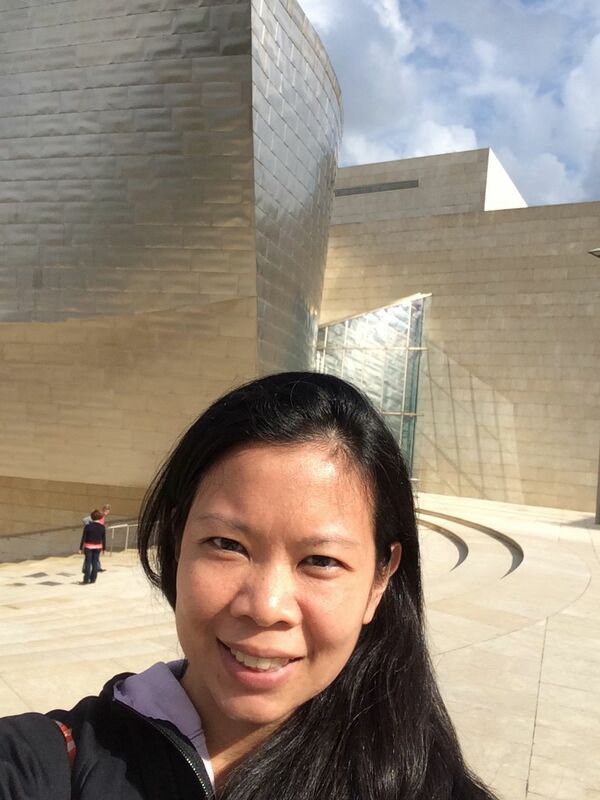 It was hard to leave San Sebastian, but I had a date with the Guggenheim Museum in Bilbao. Was it possible to fall madly in love with a building? Apparently, it is. This shimmering titanium shaped museum was a stunner. With every curve, I fell in love more. It was overcast when I entered the museum. After I went through every single gallery, especially loving the Jean-Michel Basquiat exhibition, my creative spirit was overflowing. As I step out, the sun is shinning and a new facet of its architecture exposed. I am in awe. 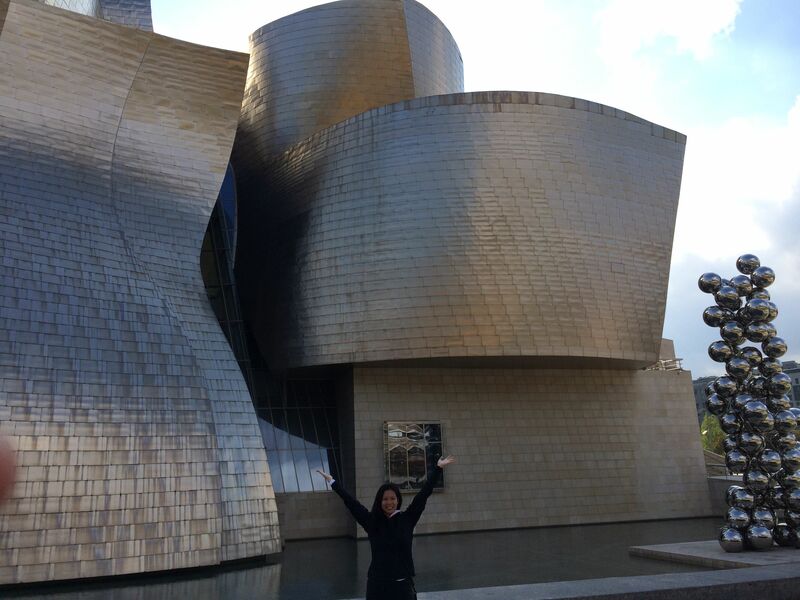 In love with your curves, your edges, your shimmer, Guggenheim Bilbao! Captivated! With every turn, you show me another facet of your beauty! I take the train to Barcelona in a half dreamy state, gazing at rows of Rioja vineyards grace through my window. I lived by the beach in an Airbnb rental in Barcelona. The sun, the sand, and my idyllic beach rental were enough happiness. But the city had so much to offer. Warned of the clever skill of the gypsy pickpockets, I came prepared with the Pacsafe Citysafe bag I bought from Travel club. 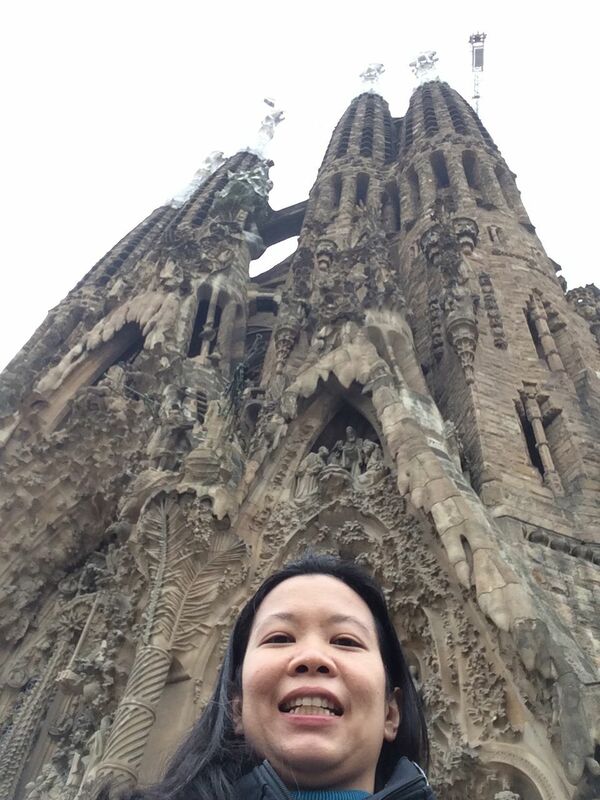 It was perfect for my daily excursions, even impressing the guards checking bags at the Sagrada Familia of its security features. 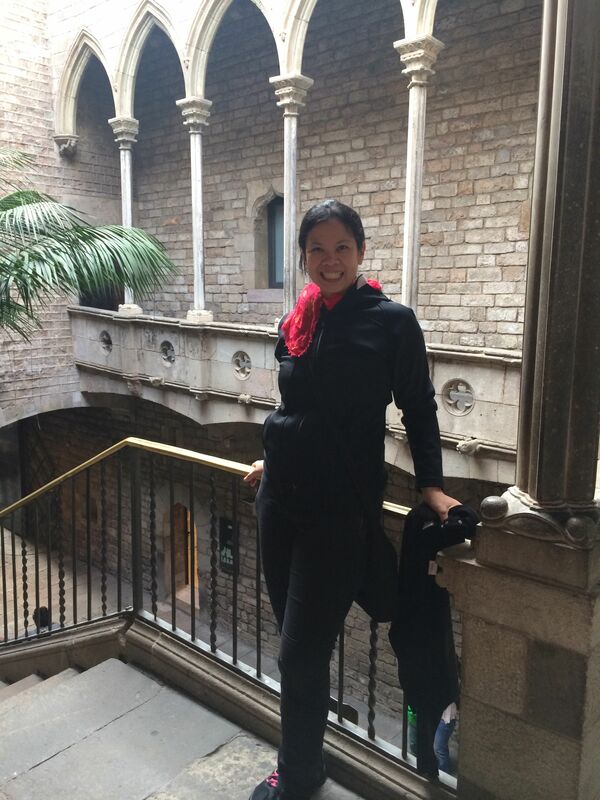 I did all the touristy bits: La Rambla, La Catedral, Mercat de la Boqueria, the Sagrada Familia, the Picasso Museum, and Gaudi’s other quirky creations. To say, “The Spaniards are artistic!” is an understatement. Their commitment to art is utterly astounding. Proof of this is how ninety years after Gaudi’s death they are still working tirelessly in completing his grand vision for the Sagrada Familia. I could not leave the city without making my own piece of art. 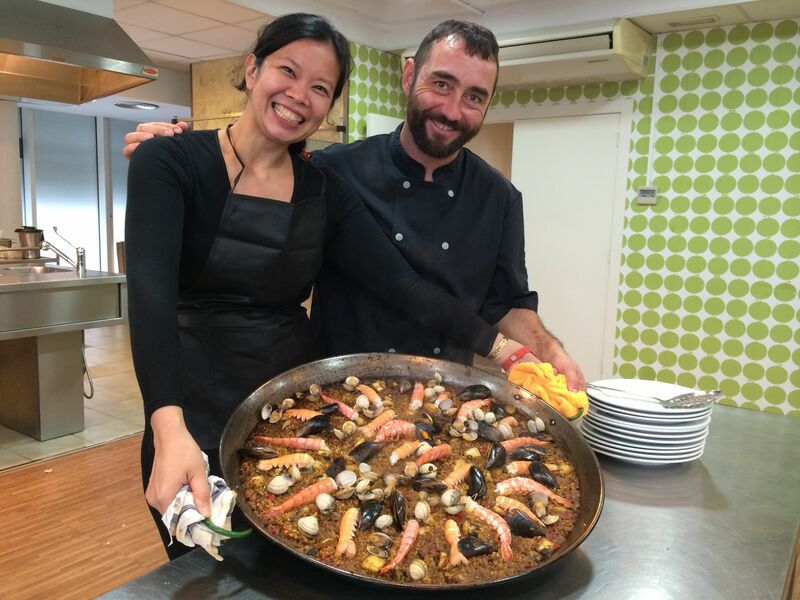 Together with Chef Alvaro, I made the biggest Seafood Paella with a group of fellow travelers. If I may say, it was a delicious masterpiece, with Socarrat crust beautifully set at the bottom. The Grand Sagrada Familia on a Rainy Day! At the Picasso Museum, gaining a deeper appreciation of the life, the romance, the art, and the genius of this Spanish artist. Arriving in Seville, it was as if I had been given fresh new eyes. Everything seemed brighter and sunnier. With every turn in the streets, I wanted to snap a photo. It was easy to get lost in the narrow streets in the Jewish Quarter. But it was a maze one wouldn’t mind navigating. Church after church in Spain tried to outdo each other. 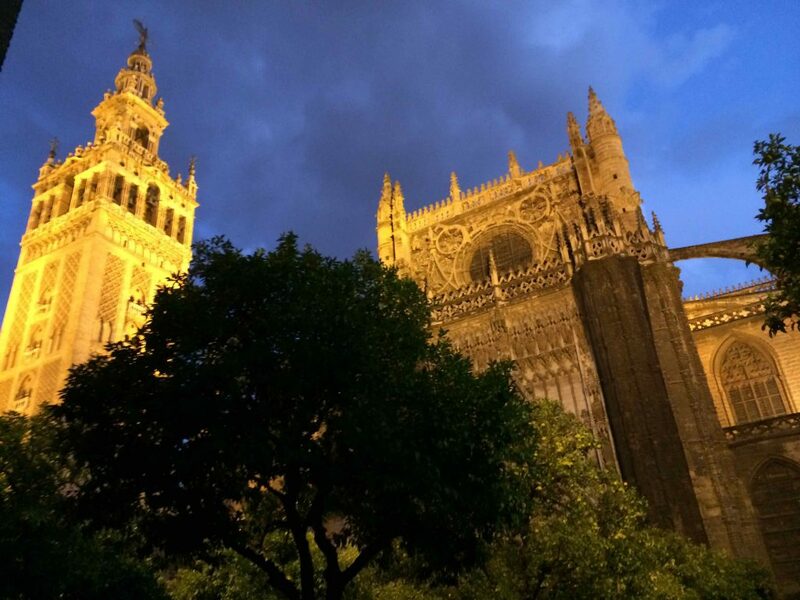 Seville’s Cathedral is the largest in the world. Building this massive cathedral in 1402, the Bishop gave strict orders to pull out all the stops: “Let us build a church so beautiful and so magnificent that those who see it finished will think we are mad.” I had no doubt they were mad, but oh so talented. With the audio tour playing on my earphones, my head rotated in every direction taking in all the art. Looking up to gaze at its grandeur, I gave thanks to Him who blessed me with this wonderful journey. I climbed the belfry of Giralda all the way to the top, getting the best view of the city. After five hours, I left the church spiritually nourished but physically starving. I quickly polished of the pizza sold just outside the Cathedral’s exit in minutes. 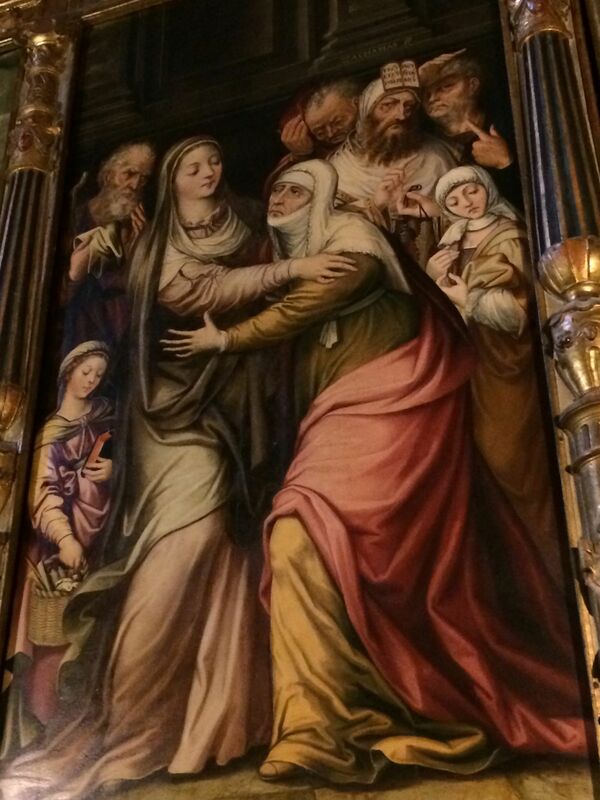 One of the painting inside the Seville Cathedral, overflowing with art! Near the Cathedral is Alcazar, Seville’s grand palace. Outside, cocheros (coachmen) lined up with their horses made me feel like a queen. They repeatedly bestowed me kind compliments. One even offered a date, promising a night of fun and Flamenco. I blushed then kindly declined for Granada awaited early the next day. 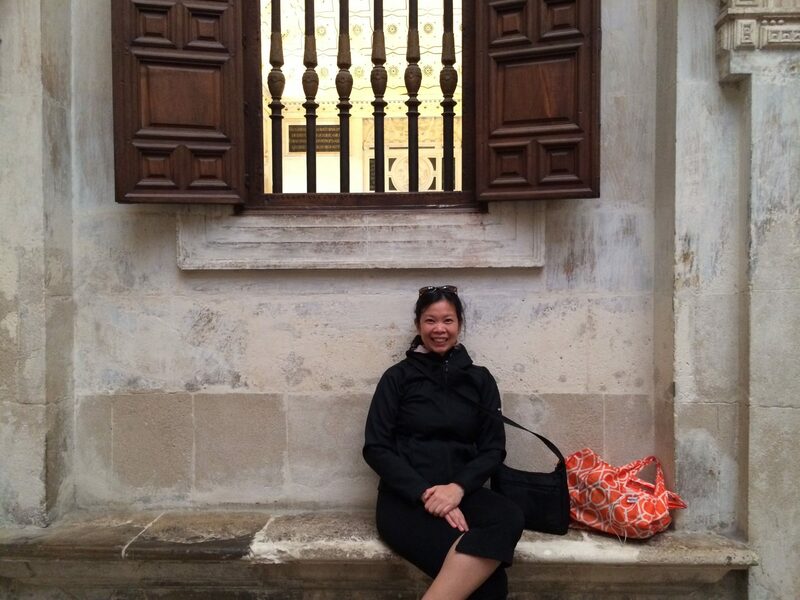 Outside the Alcazar, soaking up Seville’s warm sunny days! 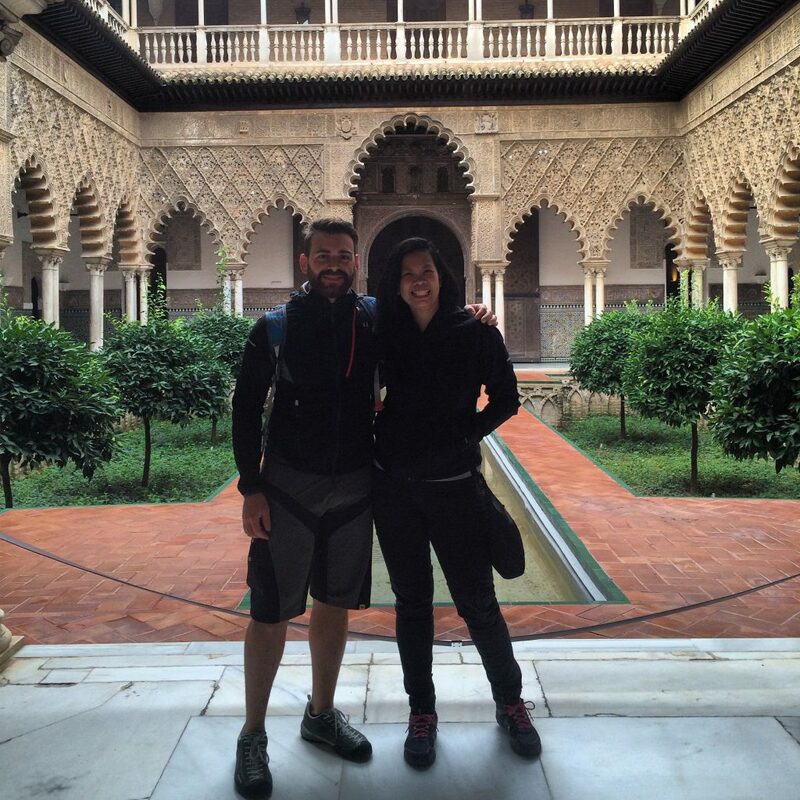 Inside the Alcazar, a friendly Italian tourist joined me for my photo! 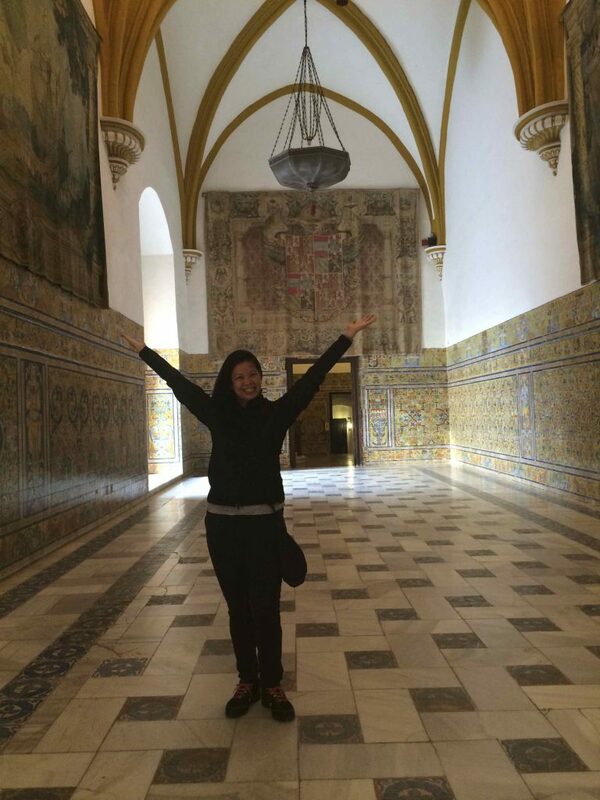 In awe of the Alcazar! 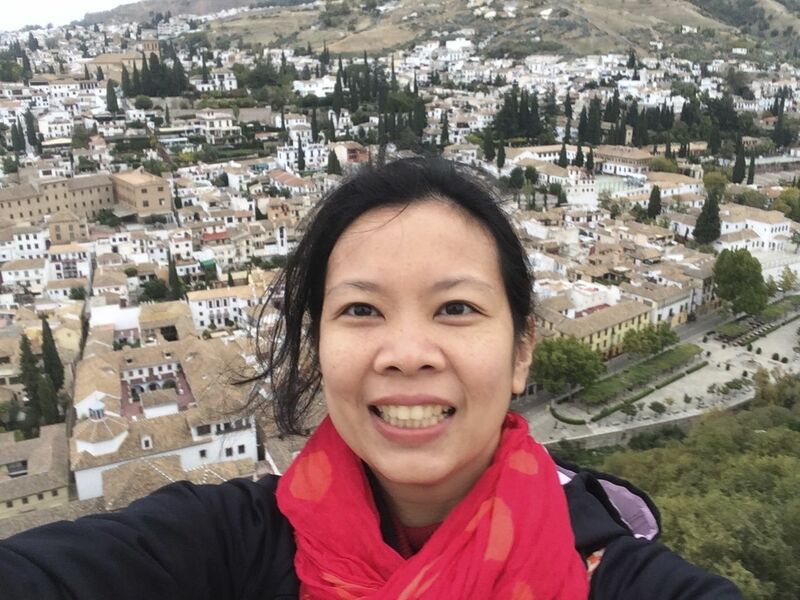 After more than three weeks of traveling alone, I arrived in Granada feeling bouts of loneliness. Granted, I made friends in every single city I passed through. There were Filipino nuns in Bilbao, the lawyer from Leon I met on the train to Seville, the fun waiters at Tapa24. Apparently, my divine trip planner had other plans for me. In Granada, I woke up 6am to get my hands on one of the few remaining tickets to enter the mighty Alhambra palace. I met a lovely couple from London. We parted ways after getting our tickets. But as I stood looking map of the palace grounds, I met a feisty Argentinian woman and her boyfriend. She too had the same 9:30 admission time to enter the palace. Together the three of us traversed the stunning gardens, entering other buildings before heading to the unbelievable Alhambra Palace. They spoke little English. My rusty Spanish sufficed to spend hours talking. After exploring the Palace, we walked to the Muslim settlement of Albayzin. In Granada, tapas are free with every glass of Vino. We drank and ate. We laughed. We even talked about love. We walked, up and down, up and down the hills. Easily clocking 20,000 steps on my Fitbit, we walked and talked from nine am to past 5pm. Language is no barrier when souls connect. Together, we got lost. Before my tired legs could collapse, we somehow magically found ourselves in front of my hotel. We bid each other goodbye, parting with heartfelt hugs. 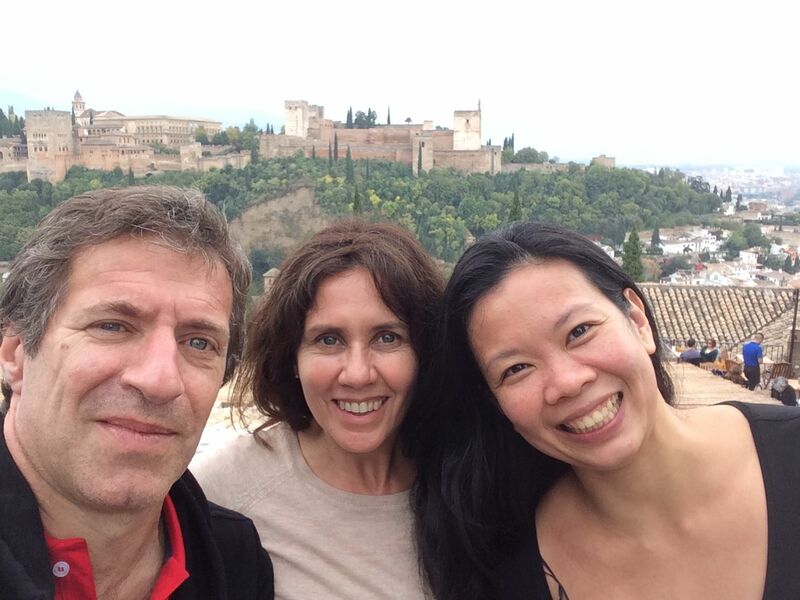 Oh the joy of travel with my new friends in Granada, with the Alhambra behind us! 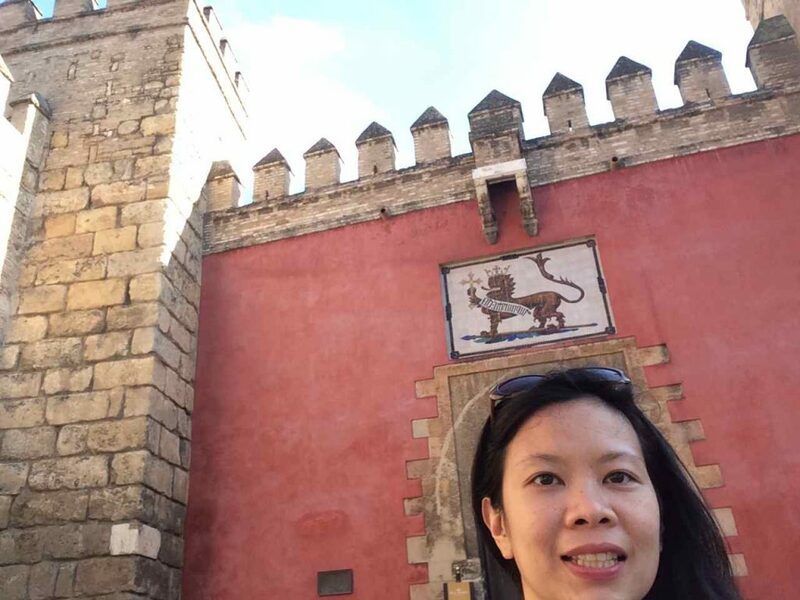 From Granada, I headed back to Madrid to roam its historic streets and to dine in one of world’s oldest restaurant El Botin, with an American and Spanish couple, two strangers who warmly showed me their home city. After 28 days, I returned home to Manila from Madrid. My bags were overweight. But my spirit was light. I had conquered Spain on my own. I believe every year you must go some place you had never been before. 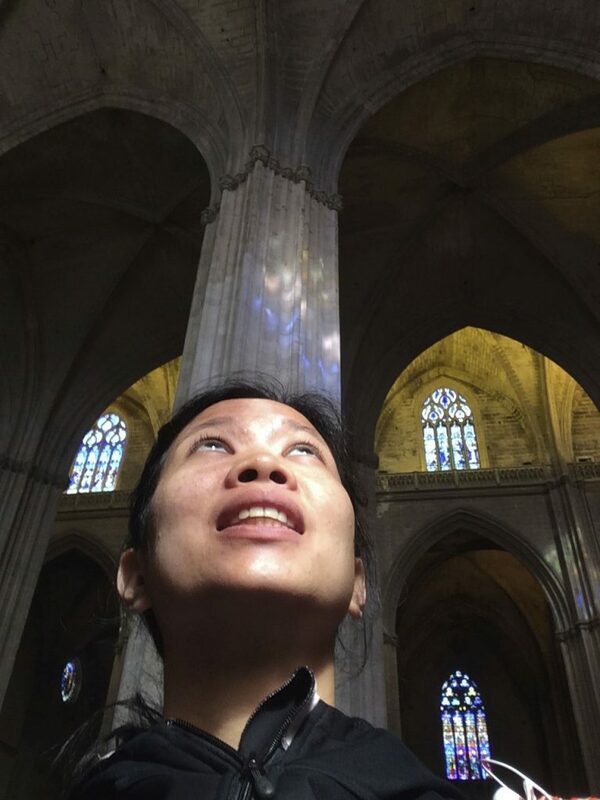 While I had seen astounding architecture, tasted the most phenomenal food, viewed amazing art, and met fascinating people along the way, Spain’s gift was beyond that. I found my forty-year-old self. I enjoyed my own company. I took care of myself when I got sick. I exercised. I read books. 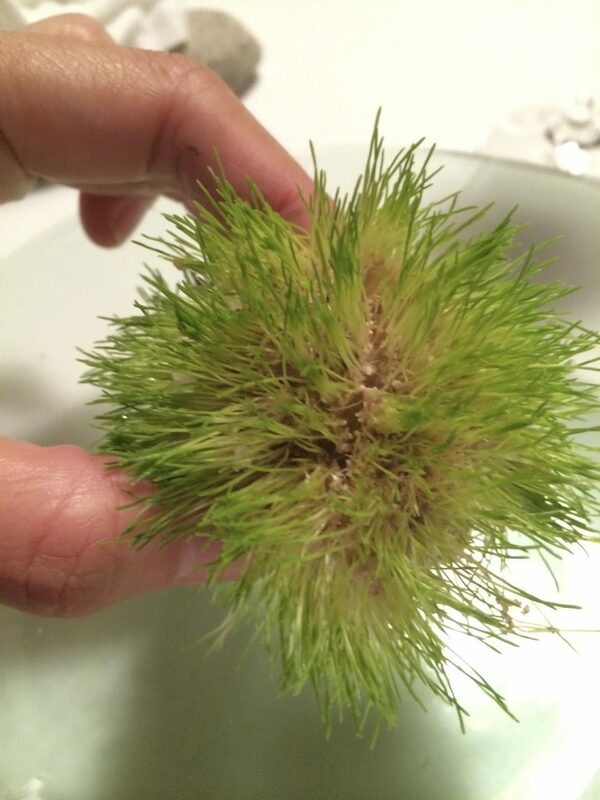 I fed my curiosity. I nurtured my hunger. I prayed. Returning home, friends commented that I looked thinner. They asked: “What did you do to lose the weight?” I teased, “It’s the paella diet.” Close friends noticed, “You look much younger and well-rested, Maida.” They were right. It was still the same old me, but I was definitely, “Forty-fied.” They say, “Life begins at forty.” I say, “Bring it on! I’m ready!” I looked good and felt great. With Granada’s Albaycin behind me! We may be lured to travel to distant and exotic places. But the true journey happens finding your self within. On your next milestone birthday, gift yourself with travel. 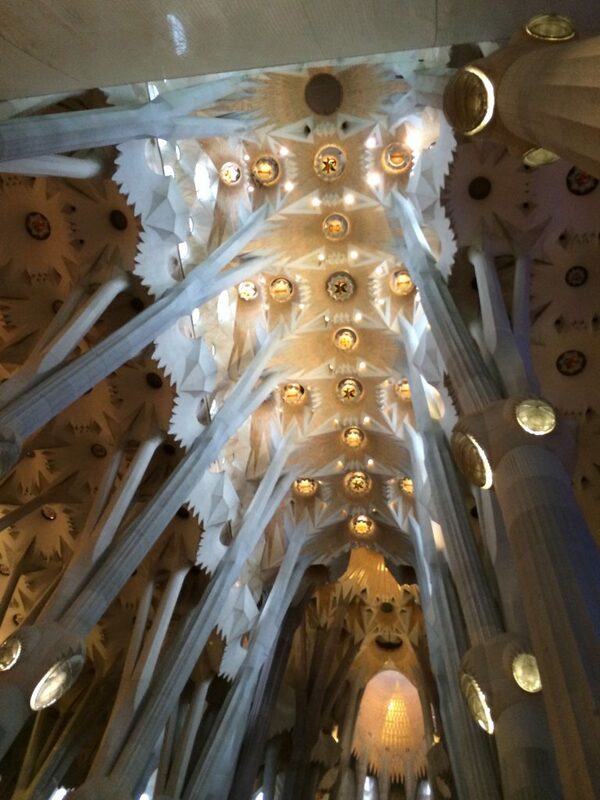 Be in awe of art, food, architecture, history, and people. But most of all, may you enjoy the journey back to yourself.